Evan is three presidential election cycles away from being old enough to vote. Even though he will not be casting a ballot on Tuesday, he is especially excited about Election Day because it’s the day after his birthday, and school is closed; which is a really big deal when you are about to turn 11. Evan already has the day planned: laser tag, frozen yogurt and the dollar store. My plans include all of Evan’s choices plus a quick trip to the poll. Because Evan’s birthday is so close to Election Day, I began thinking about whether he will one day be capable of casting a vote. I continually wonder whether he will get a driver’s license, date, attend college and find meaningful work. It’s still not clear if or when he will do any of these things, although I remain cautiously optimistic. But, as I started thinking about him voting, it became very clear to me that he is more than capable of doing so when he is old enough. We are fortunate to live in a country where voting is a fundamental right. Currently there are no barriers allowing Evan to vote when he turns 18. 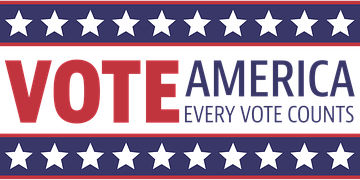 As a general rule, federal law states that if a person is competent enough to go to the pools and vote (or fill out an absentee ballot), he can do so. However, as with most legislation, state laws can vary. For example, there are some places where if a person has a guardian, he or she cannot vote. Even if my husband and I end up with legal guardianship, meaning we make all decisions regarding his finances, health care and housing arrangements, there are no laws in our state denying individuals with guardianship the right to vote. Aside from the fact that he’s 10 and not even old enough to step into a ballot box, his fickleness made me wonder if allowing him the chance to vote would be a good idea. That thought quickly dissipated because he is no different than the average voter. Being “neurotypical” doesn’t guarantee a thoughtful vote. People make uninformed decisions all the time. Some base votes on name recognition; others decide based on looks or ethnicity. There are a whole host of other unknown and seemingly random factors we rely on in an election. When I vote on Tuesday, I will see a ballot with 113 candidates running for 30 positions. I feel confident that I will be making informed decisions in a very small minority of these races – and by small minority, I mean three. And, even in those races, I don’t know the candidates personally. I have never met them, so is my decision all that informed? There have been times where I’ve darkened the circle next to the name that sounds familiar or the seemingly nice candidate who was going door-to-door the week before the election. It’s not the best way to vote, but it’s what many of us do. For the judicial races, I will ask my attorney friends whom I should vote for, and in the school board elections I will ask the opinion of a friend who is extremely knowledgeable and involved in advocating for her children with autism. While technically I am the one casting these votes – and you could argue they are therefore my opinions – you also could make the case that I am allowing my friends an extra vote. My vote isn’t much different than someone like Evan. So yes, my son will absolutely be voting when he is old enough, unless he chooses not to do so. Some of my friends have said that they discuss the candidates and issues with their voting-age, special needs children and ultimately let them decide. One friend said that her son was especially excited to vote on a funding issue that would impact the regional bus system which he relies on heavily for transportation. They acknowledge that their information probably influences their son or daughter, but at least it is coming from someone who cares deeply about them and the issues that will impact the disabled community. Besides, what information regarding voting issues doesn’t come from “biased” sources? Some with disabilities may be so profoundly impacted by their disability that they simply don’t have the capacity to understand an election. In their case, I would argue that the rights and responsibly of a guardian should include voting on behalf of the disabled adult. Everyone deserves a voice, and who better to speak for those who truly can’t than someone designated to act in that person’s best interest. The beauty of living in a democracy is that we don’t question someone’s decision- making process in an election – unless he or she votes for… (fill in the blank with the candidate you didn’t vote for).